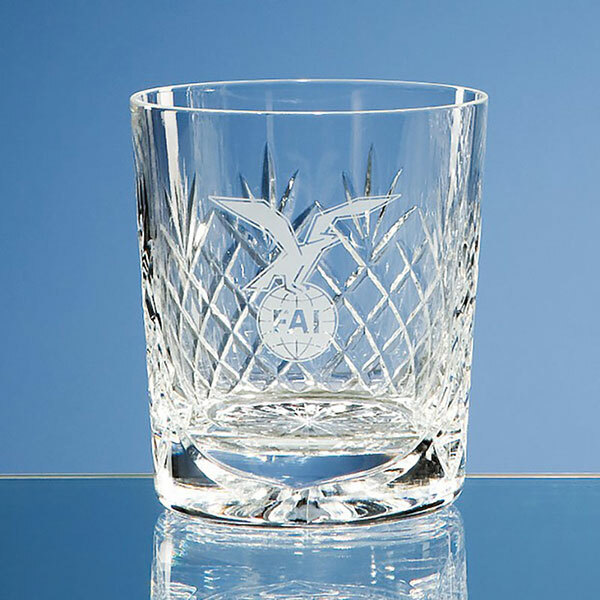 Lead crystal whisky tumblers SW36, classic round whiskey tumblers with handcut decoration and a blank panel for engraving, offered with text and logo engraving options. 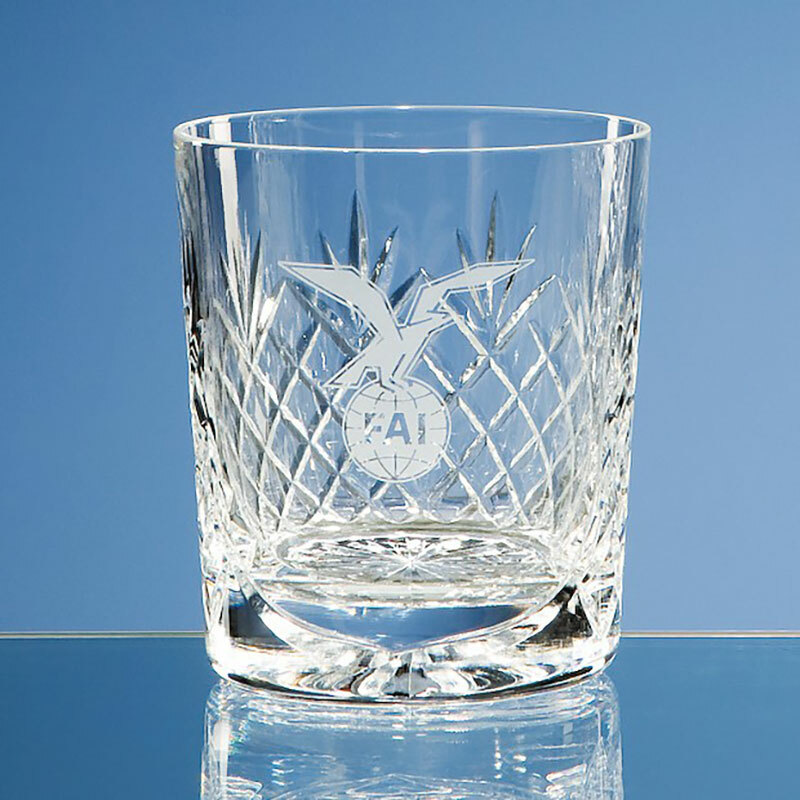 A classic round whisky tumbler, reassuringly weighty yet comfortable to hold, and featuring traditional handcut decoration with a blank panel for engraving. 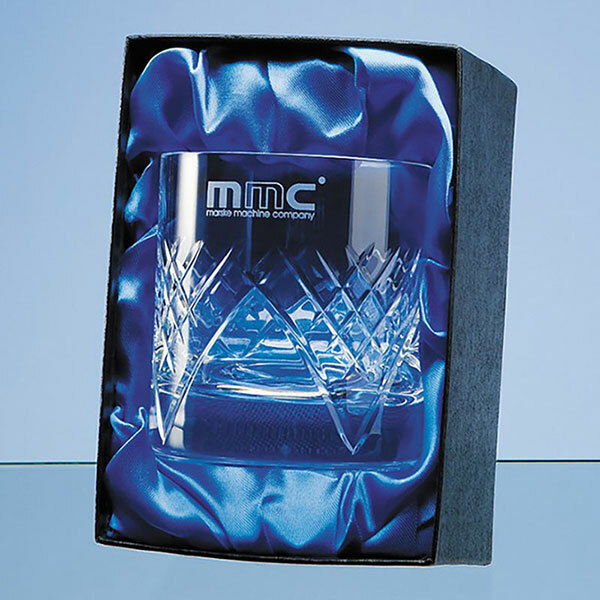 Crafted in 24% lead crystal, these quality whiskey tumblers are ideal for engraving as corporate gifts or corporate recognition awards as well as personalisd gifts. They are offered with low, fixed-cost engraving of text and free logo engraving along with low fixed cost UK delivery regardless of your order size or weight.